Even after a year rife with bad press regarding their racial politics and lack of a black world champion, the WWE has decided to make good through their WWE Network by honoring Black History Month. Only problem is, it’s a pretty half-assed job. As someone that’s not familiar with the PYT Express I was hoping for something more than some random promo of them at an airport where you can barely make out what’s being said, or what the damn point is. And I appreciate the callback to Booker T.’s Ebony Experience days, but I could’ve come up with at least 50 other videos showcasing Booker T.’s accomplishments. And then there’s the backstage bit involving Cryme Tyme, probably the least offensive one that exists of them. Which bring me to this list. 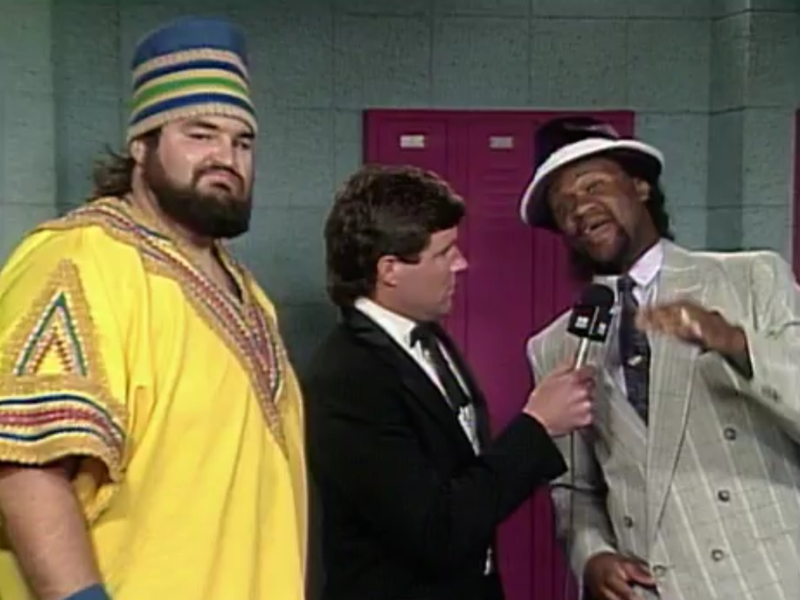 While WWE likes to pat themselves on the back for how far along they think they’ve come in portraying African-American wrestling characters, I’d like to provide 10 reminders of how far they set them back as well.